Dave Smith is an engineer and musician who has pioneered many groundbreaking music technologies. 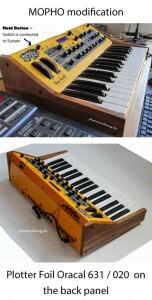 Smith was responsible for the first polyphonic and microprocessor-controlled synthesizer, the Prophet 5, and later the multitimbral synthesizer. He is also referred to as the „Father of MIDI“ for his role in the development of MIDI, now a standard interface protocol for electronic instruments and recording/pro audio equipment.